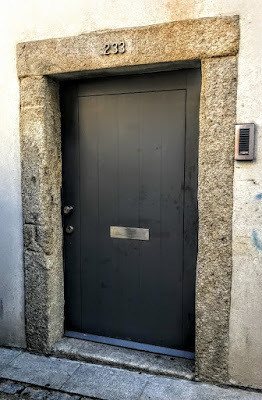 One morning last week, I went in search of the story and history of the Jewish presence in Porto. 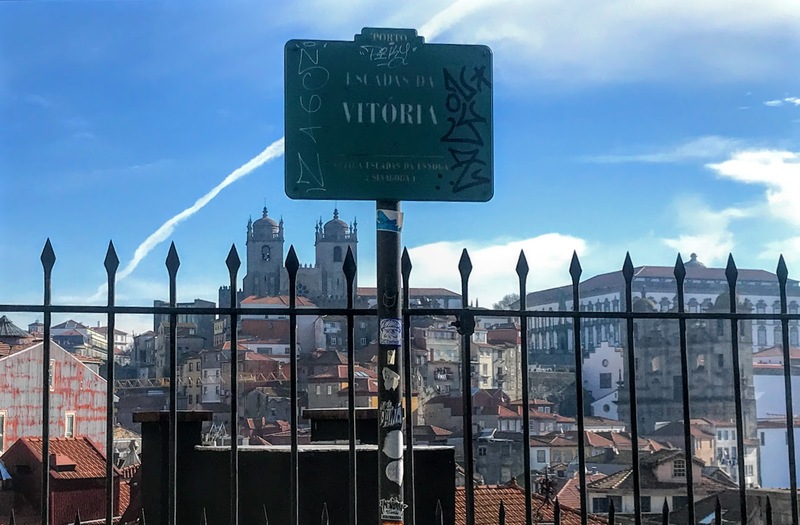 It is as hard to trace the arrival of the first Jews in Porto, but it is said there has been a Jewish presence in the area that is now Portugal long before the country was established, going back to the Roman Province of Lusitania. However, the Jewish presence in Portugal can only be documented from 482 CE. With the collapse of the Roman Empire, Jews were persecuted by the Visigoths and other regional powers. The Moorish invasion of the Iberian Peninsula in 711 was seen by many Jews as a liberation and as the beginning of the Golden Age of Jewish culture in the Iberian Peninsula. However, both Jews and Christians were regarded as Dhimmi under Muslim rule and had to pay a special tax. The first king of Portugal, Afonso Henriques, who reigned from 1139 to 1185, nominated Rabbi Yahia Ben Yahia, a Sephardi Jew from Cordoba and the First Chief Rabbi of Portugal, as his Supervisor of Tax Collection. 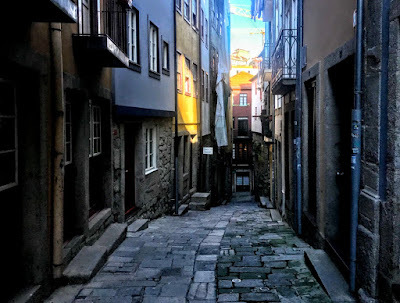 Jews were already living in Porto during the High Mediaeval Ages, close to the Sé or Cathedral and inside the primitive walls of the city, and Jewish communities were living in towns and villages throughout the Douro region until the 15th century. The good relationships between the crown and the Jewish community continued during the first dynasty, and Sephardic Jews, protected by the monarchy, contributed to Portuguese culture. Jewish philosophers, intellectuals and merchants played decisive roles in Portuguese life, and they were known too for their financial and scientific contributions during the Age of Discoveries. 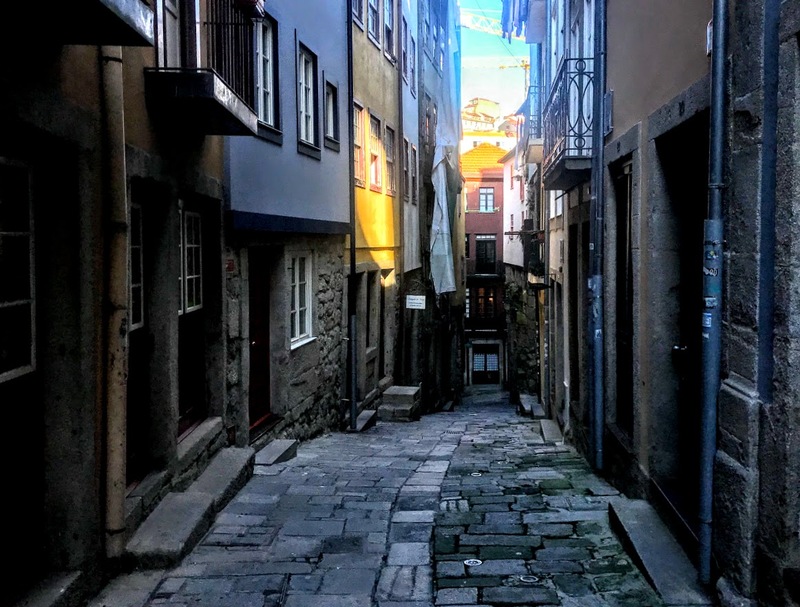 By the 12th century, the first Jewish quarter in Porto was located deep in the heart of the growing town, on the slopes beneath the Sé or Cathedral. The city’s first synagogue stood in what is today known as Rua de Sant’ana, perhaps on the site of the later Igreja dos Grilos. The names of many streets indicate the former presence of the Jewish community, including Rua Nova, Rua Direita, Rua da Estrela and Rua Espinosa. As the city developed, the Jewish community spread towards the river. Prominent Jews, including doctors, goldsmiths and merchants, lived in the streets off Praça da Ribeira. Another Jewish quarter, with a synagogue at its centre, was found in what is today known as Rua do Comércio do Porto, the area of Palácio da Bolsa and the old Mercado Ferreira Borges. A synagogue was built in the 14th century in the area of Monchique in the 14th century, and the Jewish presence in the area is recalled in street names, including Rua do Monte dos Judeus. Three areas have been identified as Jewish settlements in Porto: the Judiaria Velha or old Jewish quarter, in Sant’Ana and the streets below the cathedral; the Judiaria de Monchique or Monchique Jewish quarter, outside the city boundaries; and the Judiaria Nova do Olival (New Olive Jewish quarter), inside the city walls. 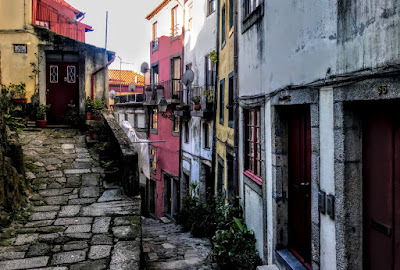 This last settlement grew up from in 1386, grew up in an area found today at Rua de Sao Bento da Vitória, Escadas da Vitória and Rua de Belomonte. King João I ordered its formation, ostensibly as a safety measure, bringing together the Jews who were scattered throughout the city. 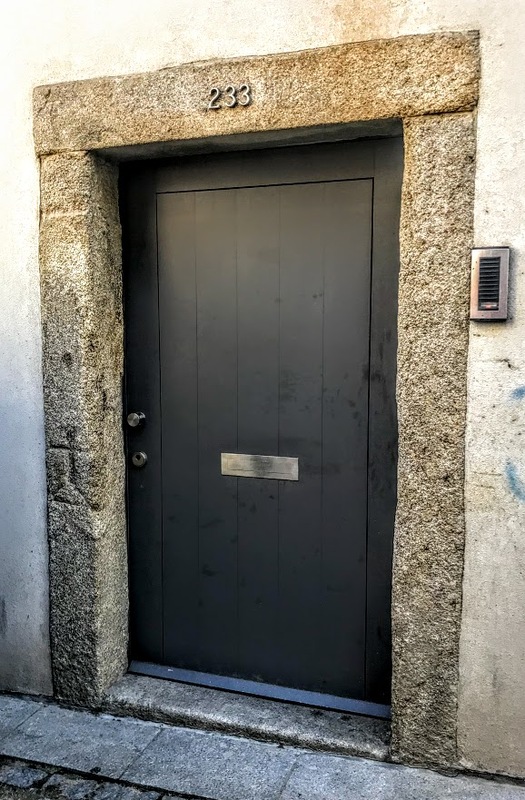 The area was surrounded by a fence with two doors, one giving access to the Olival, and another one to the Escada de Vitória, also known as Escadas de Esnoga or ‘Synagogue Stairs’ and the road to Belmonte. The houses were built where an olive grove stood, now traced in the streets of São Bento da Vitória and São Miguel, laid out on an east-west grid pattern with a synagogue in the centre. However, the fortunes of the Jewish community in Porto took a turn for the worse under Portugal’s second dynasty. After the Spanish Inquisition was established in 1478, the Spanish crown ordered the expulsion of the Jewish population in 1492. About 60,000 Spanish Jews fled to Portugal, with 30 families banished from Castile finding shelter in the Olival area. But in 1496, the Portuguese king, who had married a Spanish princess, decided to expel the Jews from Portugal. In December 1496, King Manuel I ordered the expulsion of all Jews and Muslims who refused to be baptised. Some Jews converted to Christianity, becoming ‘New Christians,’ many more fled Portugal, and large numbers remained but kept their faith in secret. 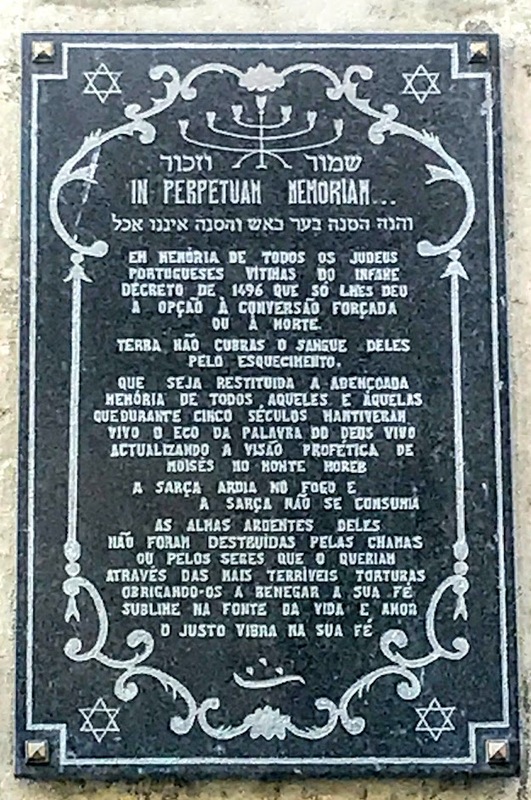 Although Porto had tolerated its Jewish community and even tried to protect it, the Inquisition presented the city’s Jews with the choice of conversion or expulsion. The Jewish heritage of Porto was destroyed completely, and almost all documents and all traces of the Jewish quarters of Porto were lost. The Igreja de Nossa Senhora da Vitória, a church built around 1539 and rebuilt in the baroque style in 1755-1769, stands on the site of a former synagogue. Its name hints at a triumphalism that is haunting. On the same street, the Igreja e Convento de Sao Bento da Vitória, a Benedictine church and convent founded in 1598, stand on the same street in the old Jewish quarter and may have been built on the sites of former synagogues. 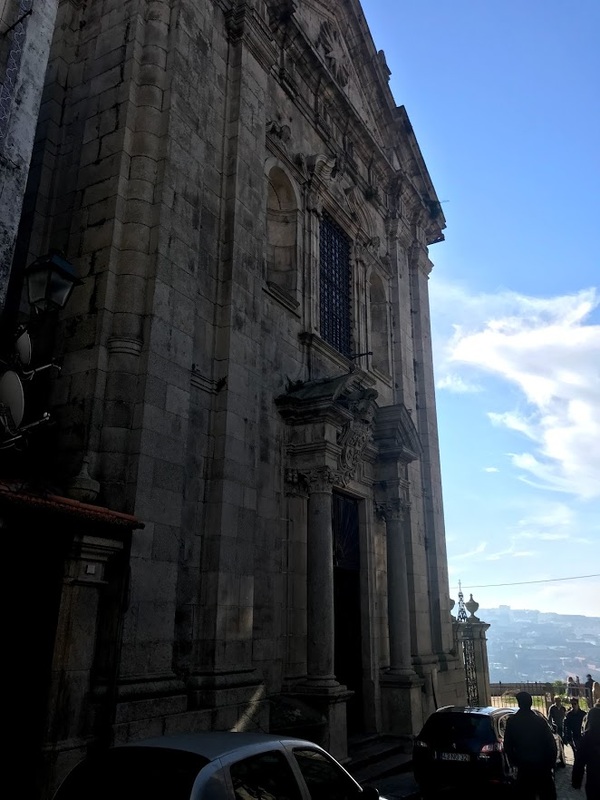 The ‘Church of the Crickets’ was built by the Jesuits in 1577 on the site of Porto’s first synagogue at the top of Rua Sant’ana, near the cathedral. 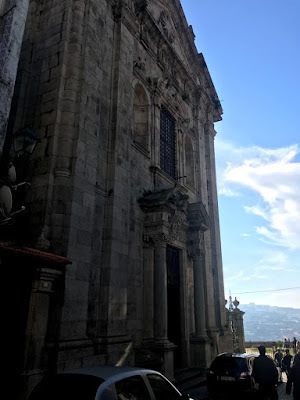 With the expulsion of the Jesuits in 1759, it passed first to the University of Coimbra and then to Augustinian Friars known because of their religious clothing as the ‘brothers-crickets’ (irmãos-grilos) and thus the name of the church where they fixed residence in Porto. The conversos or new Christians were forced to carve crosses on the door posts and stone walls of their houses to let people know that ‘New Christians’ lived there. Sometimes the door posts are also marked by a three-sided stone post on one side of the door. These crosses and Christian symbols on the door posts and lintels replaced the mezuzot and other traditional signs of a Jewish household, but also marked the families out for attention from the Inquisition to ensure they did not continue Jewish practices in the privacy of their homes. I was told how Saint Ann became a popular figure for many of these families: she was the mother of the Virgin Mary and revered as a saint, but she had never converted from Judaism to Christianity. The sites of early synagogues can still be pointed out on Sant’ana Street, at Sao Bento da Vitória Church and the Vitória view point at the Escada de Vitória, also known as Escadas de Esnoga, which means Synagogue Stairs. 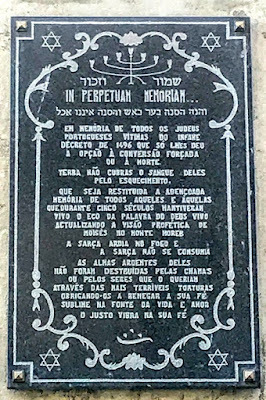 In the early 20th century, a new Jewish community was formed in Porto by Captain Artur Carlos de Barros Basto, the descendant of conversos, who built a new synagogue in Porto, the Kadoorie Mekor Haim (‘Spring of Life’) Synagogue, in 1929-1937 and gathered together the descendants of dozens of Jewish families.